I was born in NY but raised in CO, where we moved when I was 9. I graduated from Windsor HS and went to play baseball at Mesa College in Grand Junction, CO. After a few years of unsuccessfully making it to the major leagues, I joined the U.S. Army. I served in the Infantry for 4 years, mostly in Germany, but also deployed to Kuwait and am a Gulf War veteran. Upon being honorably discharged, I enrolled in the University of Northern Colorado. In 1995, I transferred to the University of Houston where I earned my BA in English. I went on to study at The New School for Social Research, teach for the Institute of Reading Development, and work for The Princeton Review. I formed and ran Bayou City Baseball Academy and the DeLeon Baseball League here in Houston before becoming a certified public school teacher. I began at North Forest HS, where I taught English I and II as well as coached baseball for a couple years. Cypress Lakes HS was my next stop. I taught English IV and coached baseball for 5 years there. Finally, I made it here to Memorial HS in 2017. 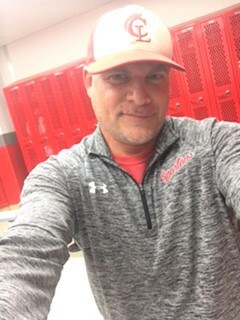 I am an English I teacher again, as well as, the baseball pitching coach and Freshman basketball coach. In my spare time, I also work on the Houston Astros grounds crew. My greatest accomplishment is being the proud father of Ethan Baylis, who is currently 10years old. Tutorial schedule: Tuesday-Thursday 7:00-7:40 a.m.